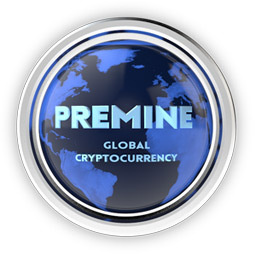 Premine, also known as PMC, is an alternate cryptocurrency that is defying normal convention in its method of mining and distribution. While some coins are mined, or earn you interest, Premine is exclusively redistributed by its users, and block rewards are generated only by network transaction fees. The word “premine” refers to the terminology of mining before a coin is officially launched. Although the word has had both positive and negative connotations, it simply refers to coins that have been mined before launch. Since all of Premine was mined before launch for distribution, the name symbolizes its unique method of distribution. Proof of Distribution, if you will. So even though technically all of the coins are “premined”, they are all in the hands of the community. Premine is setting out to prove that cryptographic currency can continue long after the minting process has ended, making it not only a fascinating glimpse into the future of Bitcoin, but also a viable and stable alternative that thanks to its low total supply of less than 500,000 coins, allows each coin to store a great amount of wealth. This makes PMC an excellent alternative store of money. To say Premine is the future of Bitcoin isn’t far from the truth. Will Bitcoin be able to survive once the minting of new coins has ended? Nobody knows. PMC started with a market cap of zero. Bitcoin currently has a market cap in excess of $8 Billion USD. Already suffering from volatile pricing, we may discover that Bitcoin might not survive this transition, and that no coin with such a high market cap ever could. In this sense Premine is also future-proof, having avoided this hazardous transition phase altogether. We have not only side-stepped this potentially hazardous event, we have embraced it and made it the very essence of PMC. No inflation. Just distribution. Premine is a SHA-256 coin, just like Bitcoin. When you mine Premine, you are mining the transaction fees generated by all the people who buy, sell and trade it. In this sense, you can only mine PMC as fast as it is bought and sold, making it exceptionally stable. It does not suffer the major flaw of most cryptocurrencies, which is market flooding caused by a large drop in mining difficulty. This inevitably leads to downward pressure on market pricing causing the altcoins you hold to devalue at any given moment. PMC is not based on this model and, therefore cannot flood the market in this manner. In PMC, The market affects the block rewards, and the block rewards affect the market. The two coexist and always seek to balance one another. PMC is built on this symmetry, and that makes it an exciting investment as well as a powerful means of exchanging goods and services. All of the coins that ever exist have already been created and have been entirely distributed amongst the community. This distribution has continued ever since on all levels, not just by the developer, but by community members and even the exchanges. Premine is more than just an experiment. It’s a concept that is proving to work.